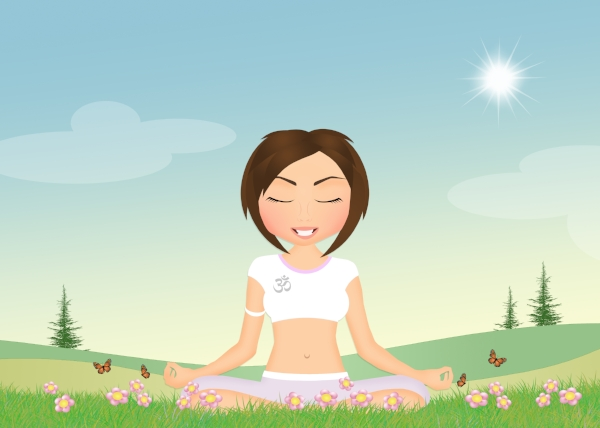 How and why to meditate: A beginners guide. As a general rule, I do not make New Year’s resolutions. They stick for a week, maybe two and then it’s done so I avoid resolutions like the plague! That said, I broke my own rule (rules, after all are made for breaking…my college mantra!) and I made a resolution to try and meditate at least once a week. At this point, I will refer you back to the second sentence…it stuck for a week and then it was over. Until last week when it popped into my head again. I’m going to try again and I am hoping since I am not calling it a ‘resolution,’ that it will stick for longer than a week. So in the spirit of learning to meditate, I thought I would share what I have learned. To learn more about the health benefits of mediation, I suggest visiting Gaiam. They have a lot of information and instructions on how to begin. Find an app. I’m not saying you can’t mediate without an app, but I tried by just listening to music and found I really couldn’t clear my mind so tried a few apps until I found one that worked for me. Here is a great article about some of the top mediation apps. Find a quiet place and get comfortable. The most important part of this exercise is to carve out a quiet place for 15-20 minutes where you will not be disturbed. I tried meditating sitting and laying down. I can’t decide which is best; I alternate depending on what feels most comfortable the time. Listen to your breath. I know that sounds a little corny but it actually works. I do use an app, but I start first by breathing deeply and focusing on the sound of my breath and that seems to help block out whatever other “noise” happens to be rolling around in my brain at the time. The ending matters. The first time I meditated, I jumped up as soon as the app session ended and I was extremely lightheaded. I didn’t realize how much I had actually relaxed. My recommendation is to sit (or lay) quietly for a few minutes, open your eyes, be proud that you took time for yourself, and get up slowly before going about the rest of your day.